Action always beats intention – and the future depends on what we do today. From its inception, the core of WIPP’s mission has been uniting women entrepreneurs across the country to raise their voices and take action on issues impacting their business. At WIPP we know that engagement of women business owners, like you, as well as organizations and corporations that support women entrepreneurship will lead to better policies and more accountable public officials. These pillars represent the core issues critical to the success of women business owners and the areas of policy WIPP will focus on in our advocacy efforts. WIPP’s Economic Blueprint provides you with a deep dive in each of these issue areas and discusses some of the current legislation as well as WIPP policy recommendations on our 2018 Advocacy Pillars. We will work to bring you relevant educational content, webinars, events and develop partnerships that help support these key areas to federal contracting success. WIPP already has an extensive catalog of helpful recorded webinars you can explore and a number of upcoming events around our popular procurement initiatives – Give Me 5 and ChallengeHER. We look forward to building on this great work. The future depends on what we do today – and WIPP continues to take action to ensure that women business owners continue to be a strong economic force in the United States and increasingly, in the world. Follow WIPP online. Stay up to date by following one of our social media channels. The first quarter of 2016 was big for us. The Federal Government met its goal of awarding 5% of all contracts – $17.8 billion – to women-owned firms. This was only possible because of the Women-Owned Small Business (WOSB) procurement program which allows contracting officers to set aside contracts for women only to bid on. In February, the FAR Council added sole source authority to the program. Now, contracting officers can use the program to award sole source contracts to women-owned businesses that are uniquely qualified to perform the work the government needs. All of the other small business procurement programs have sole source authority, so it was important to bring parity to the WOSB program. In March, the WOSB program was expanded to include 113 industry codes. The same law that added sole source authority also called for SBA to update a study on participation in federal contracting by women-owned businesses. The last study was done in 2007. The new study found more industries where women are underrepresented and now those industries are part of the WOSB program – an expansion that will provide additional procurement opportunities. While we have been making gains on that front, there is much more to do to open doors to federal agency contracts for women-owned companies. Never content to rest on our laurels, the WIPP policy team in Washington, DC is ready to tackle two new procurement issues. First, we must increase access for women-owned firms to multiple-award contracts. The government increasingly buys its products/services through these ongoing contracts, like Indefinite Delivery, Indefinite Quantity (IDIQ) contracts, and other large contracts. Often, these contracts select vendors through an initial competitive process and then issue task orders to that group of vendors only. Some multiple-award contracts have a “track” for large businesses and a “track” for small businesses. Others, though, have different tracks within the small business track. For example, they may have a HUBZone track, an 8(a) track and a veteran’s track. In those instances, WOSBs should also have their own track. We will be asking for parity in these cases. Second, there should be parity in sole source contract ceilings. Sole source contracts are capped – they are not unlimited. Every five years, the FAR Council adjusts the cap for inflation. In October, all the other small business programs’ caps were increased. The HUBZone program, for example, now has sole source awards capped at $4 million for most products/services and $7 million for manufacturing. Women did not get an increase — our manufacturing cap is a half a million less at $6.5 million. Again, the theme is parity. We will be pressing the FAR Council to adjust the WOSB sole source to match the increases of other programs. WIPP’s advocacy is always in motion and in the federal contracting space, there is always much more to be done. So, join us in the effort. When talking to federal agencies or elected officials, echo our two asks. Everyone’s voice is important. A landmark week for women entrepreneurs just got better. Just a day after announcing that federal government had finally met their goal of awarding 5% of contracts to Women-Owned Small Businesses (WOSBs), the Small Business Administration (SBA) announced a significant expansion of the WOSB procurement program. When the last disparity study was completed in 2007, women were found to be underrepresented in federal contracting in 83 industries, thus making them eligible for participation in the WOSB program. In addition to pressing for sole source contracts, WIPP advocated for a new study to update eligible NAICS codes for the program. The study, completed by the Department of Commerce earlier this year, found that 113 industries and their corresponding NAICS codes are now eligible for the program. The changes take place immediately. The study, The Utilization of Women-Owned Businesses in Federal Prime Contracting, found two very disturbing facts. One, that women are 21% less likely to get a government contract after solving for factors such as age and size of the business. Second, the industries in which WOSBs are less likely to win contracts account for about 85% of both total contracts and dollars awarded. Find out whether or not your business is eligible for participation in the WOSB procurement program by checking your NAICS codes. Even though the program has quadrupled since 2011, expansion of the NAICS codes will result in even greater gains for women-owned businesses to participate in the public sector. Does anyone else think the 2016 Presidential election has been going for ages? It sure seems like that to me, but admittedly, it has been one of the most entertaining primaries in recent history. The 24-hour news cycle has kept us up to the minute with every speech, gaff, or barb traded by the candidates. We’ve seen our fair share of debates, roundtables and town halls while watching almost daily polls track the candidates as their support rises and falls. Luckily, today is when the rubber meets the road – at least in Iowa – where Iowans will caucus for their primary candidates. As the 2016 Presidential election ramps up, so too will WIPP’s advocacy efforts. Why? Because we are not cynical about democracy and the process necessary to achieve it. We believe engagement is the mechanism by which to change the trajectory of our country’s future. WIPP has made addressing the needs of women entrepreneurs a top priority for elected officials and our advocacy has resulted in successes for women business owners. Just look to 2015 for proof that women business owners have a seat at the table. We worked for implementation of sole source authority for the Women-Owned Small Business (WOSB) Procurement Program– a tremendous step forward for women-owned businesses seeking to win federal contracts. The Senate Small Business Committee passed the first reauthorization for the Women’s Business Center (WBC) program in nearly a decade, which provides important business support to women entrepreneurs. These are just two of the many policy victories for women entrepreneurs last year. To ensure that we keep up that momentum and women entrepreneurs remain a top priority for our elected officials, WIPP has launched WE Decide 2016. This collaboration with Personal BlackBox (PBB) will engage women entrepreneurs seeking to affect the issues candidates discuss throughout the 2016 Election. Ten million woman business owners, if active, are in a position to influence the direction of economic policy positions. According to the National Women’s Business Council (NWBC), women-owned businesses are an economic force, contributing nearly $1.6 trillion to the annually to the US economy. The WE Decide 2016 platform seeks to engage all women business owners and associations whose members are women entrepreneurs, not just WIPP members. When women come together to share their views about the future of this country, they don’t need to be caucusing in Iowa or attending town halls in New Hampshire. The platform will be polling women business owners on economic issues, such as access to capital, access to federal markets, tax policy and providing healthcare to employees, to mention a few topics that affect us daily. As the primary results come in and we move on to the New Hampshire primary next week and the South Carolina primary on February 20, know that through WE Decide 2016, we have a unique opportunity to engage the voices of ten million women business owners. We certainly don’t need to agree on every issue, but I, for one, think women business owners may not necessarily possess the same views on issues that the national polls indicate. So, lean in and let’s see the results of our engagement. I can’t wait to see the impact all of us together can have in November. Women Impacting Public Policy (WIPP) recently submitted comments on the interim rule implementing sole source authority into the Federal Acquisition Regulation (FAR). For more details please read WIPP’s full comment here. WIPP’s 15-year effort to expand contracting opportunities for women entrepreneurs cleared an important hurdle with sole source authority finalized in the government’s contracting rulebook. The Federal Acquisition Regulation (FAR) is the government’s official source for rules when it comes to awarding contracts. Implementing sole source authority into the FAR means that women entrepreneurs wll now be competing on a level playing with other small business contracting programs. WIPP’s comment on this rule acknowledged the FAR Council for recognizing the “urgent and compelling need” to grant contracting officers this authority. 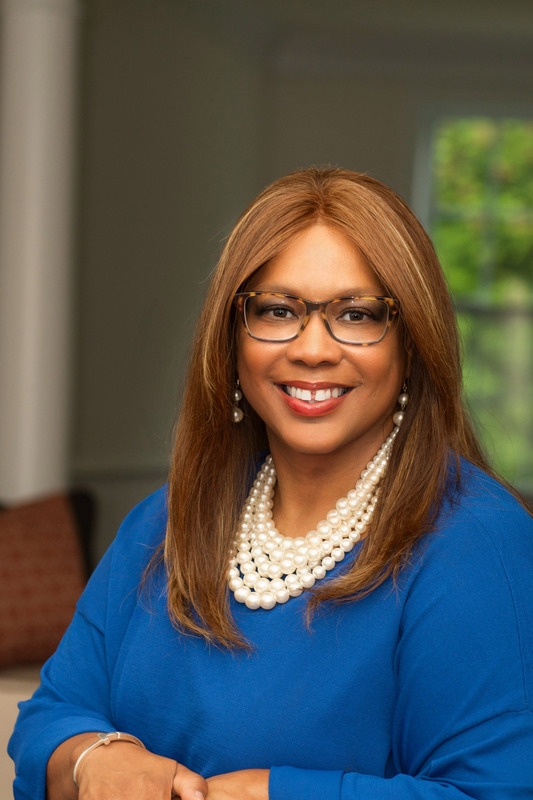 Their recognition is the culmination of years of hard work and advocacy to bring parity for women-owned contracting firms. Although the Small Business Administration (SBA) published sole source rules last fall, some contracting officers had been waiting for official language to be put into the FAR before they would use sole source authority. WIPP members have experienced this inconsistency firsthand and WIPP’s comment highlighted how important it is for the FAR to eliminate the conflict. The FAR Council’s rule became effective on December 31, 2015 – a great way to start the New Year. Contracting officers now have official instructions to award sole source contracts through the WOSB Procurement Program. We encourage women business owners to comment on this important victory for our community. If you wish to echo WIPP’s comments, you can submit them electronically using Regulations.gov and search for “FAR Case 2015-032.” Please use the “Comment Now” option, which will provide instructions for uploading your document and ensure that your voice is heard. efforts to make federal contracting more accessible to small businesses. Committee Chair Steve Chabot’s (R-OH) legislation, Defending America’s Small Contractors Act of 2016, makes an array of changes to procurement policy. Although impossible to summarize all of the changes in a few paragraphs, which is why we have the link to the bill above, here are the highlights. The bill tackles transparency by rewriting – in plain English – the requirements for small business procurements. Since getting past performance is an obstacle for contractors getting started in federal contracting, the bill establishes a pilot program that enables them to get a past performance rating by submitting a request to the contracting officer and prime contractor. Offices of Small and Disadvantaged Business Utilization (OSDBUs) will now have increased authority to recommend which small business set-aside programs are most appropriate for each contract at their agency. The Act even touches the Department of Defense (DOD) by requiring that Mentor-Protégé plans in DOD’s program be approved by SBA – an update aimed at adding consistency to Mentor-Protégé Programs government-wide – but controversial since the last time we looked the Defense Department does not generally defer to SBA. If some of these changes sound familiar, it’s because Anne Crossman, a member of WIPP’s Leadership Advisory Council, proposed several of these improvements during a Subcommittee hearing last fall. Specifically, Anne noted WIPP’s “if you list us, use us” policy for prime contractors’ subcontracting plans and in her testimony she advocated for prime contractors to be accountable to the subcontractors listed on their plans. This bill incorporates Anne’s recommendations by requiring commercial market representatives (CMRs) assist prime contractors in identifying small business subcontractors and assess the prime’s compliance with their subcontracting plans. The intent of the legislation is to assist federal agencies in meeting their small business contracting goals. The goal for women owned companies of 5% has never been met. A continued push for data transparency surfaces in the bill as well, requiring agencies to do a better job of reporting the contracting dollars awarded to small businesses. The Committee is expected to hold a markup to consider this legislation during the week of January 11. The WIPP Government Relations team will continue to provide updates as the bill moves through Congress. 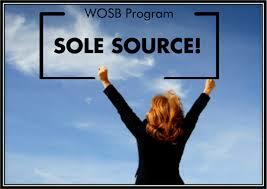 Sole Source Authority for the WOSB Program is Official Today! WIPP has reason to celebrate with all women business owners. As of today, contracting officers now have the authority to award sole-source contracts to women-owned small businesses. This authority will level the playing field in the federal marketplace and provide additional opportunities for women entrepreneurs to expand their businesses. Is the contract in a WOSB or EDWOSB eligible NAICS code? The Women Owned Small Business (WOSB) Procurement program is unique in that it is only applicable to contracts in certain NAICS codes. In addition some NAICS codes are open to all WOSBs, while some are only available to Economically-Disadvantaged WOSBs (EDWOSBs). You can check if a contract’s NAICS codes are in the program on the SBA website www.sba.gov/wosb. Again, the NAICS code of the contract, not just your company, is important. Is the contract (including options) valued at $6.5 million or less for manufacturing contracts or $4 million or less for all other contracts? Similar to other small business contracting programs, WOSB sole source contracts are limited to certain sizes. For manufacturing contracts (the 31-33 NAICS codes) that cap is $6.5 million, while all other contracts have a cap of $4 million. This is including all options on the contract. Can the contract be awarded to the WOSB or EDWOSB at a fair and reasonable price? The law also requires that the contract can be awarded at a “fair and reasonable price.” This common term in federal contracting is described in the FAR – essentially the federal procurement rulebook. Good news – if you are submitting pricing that is on the GSA schedule, it is already considered fair and reasonable. Lastly, in the determination of the contracting officer, is there a reasonable expectation that there is only one WOSB/EDWOSB that can perform? The final requirement for a sole-sourced contract in the WOSB program is the contracting officer’s determination, through market research, that only one WOSB/EDWOSB can perform the requirement. Many people find this component especially difficult, however, it is important to note that agency-specific requirements may make your solution unique. Also, if it is determined that 2 or more WOSB/EDWOSBs can perform, the contract can be set-aside through the WOSB program. If the answer to all four questions was yes – you have yourself a strong case for a WOSB sole source contract. Keep an eye out for additional education from WIPP on sole source authority. WIPP will be working with the SBA and OSDBU offices to help educate both women business owners and contract officers on sole source authority. Don’t forget! If you are looking for federal contracting opportunities, make sure to get your business listed in WIPP’s National Directory of Women-Owned Small Businesses.